2)Another program/Design for a game from login to player may opt for Multiplayer/ single play game type sudo code? 3)Explain Dynamic binding Wire simple example code? 4)Write Virtual destructor code ?explain why its useful? 5)Which are the design paterns you know explain? also asked why Facade,observer pattern useful apart from other? 1) If you want to use c code in c++ how you will use it? 2) Gave a binary tree asked question to count single incomplete binary nodes? 5) What are signals and slots in QT? 6) What are events in QT? difference between signals and slots vs Events? 1)Tell me about your self. 3)How to find linkedlist is circualar or not? 4)Find the Merge point in 2 linkedlists? 5)How to find the string in an array of strings which are arranged in sorted order in the array? 6)Some questions on singleton design pattern? 7)Single ton class also? How to create the singleton and how to delete the singleton object? 9)About searching techniques? some question? 11)How do you do dynamic memory allocation in C,C++? what is the difference? 1)What are the tools you used for iphone development? 2)Some questions on my project? 3)Please can you explain MVC ? 4)What are the design patterns available in objective-c? 8)Can we compile c++ code in x-code? 9)What are the types of apps available in iphone? 10)Difference between native vs webapp? 11)What are the Thirdparty tools you used? 12)Can i extend memory in iphone adding microsd? 13)New feature in Iphone 6? 14)How garbage collection in objective c? 1) Did you write any shell script? Can you implement grep for me? 2) Did you write make files? can you write a make file for the list of files like this? 3) Why are you intrested in working with Prokarma? 4) Do you know Singleton class? Can you Explain? 5) What is the use of Private constructor? what is the use of Public constructor? 6) Write a Program in any c or *c or C++? 7) Asked a bout my project explaination? some questions on it? 8) Which editor you used for developing c++ ? why? Please friends to contribute questions of company interviews you attended mail us cinterviews.blogspot.com@gmail.com it will be useful for our job search community.www.cinterviews.com appreciates your contribution1.What is RDBMS? 1)Did you use boost frame work? can you explain which you used? 3)Why dont we have Virtual constructor? 4)Deep copy vs shallow copy? 5)Do we need to implement copy constructor defenitely?why? 6)Draw backs of virtual fuctions? 7)What is the use of Virtual functions? 8)What are the different design paterns you used?Why? 9)Difference between vector and Map? 10)Why we use Map(associate containers)? 1)What is auto_ptr? why we use it? 2)what is constructor?how many constructors a class can have? 4)Using auto_ptr which header file we use? 5)Difference between shallow copy and deep copy? 7)why do we pass const in copy constructor argument? 8)Explain different acess specifiers in c++? 1. On x86-32 Linux, at which address the code segment of the program starts? 2. On x86-32 Linux, at which address the user stack resides normally? 3. A system has 512MB of physical memory. Which among the following is not a suitable virtual memory size for this system architecture? 6. Which sytem call can be used by a user process to lock a memory so that it cannot be swapped out? 7. Is page table per process entity? 9. What is the use of strace command? 10. If one of the thread in multithreaded process is blocked on an I/O, which of the following is true? 5. Which niceness value among the following indicate most favorable scheduling? 7. Which one of below can be a real time schedule policy? 8. If the fork() system call returns -1, then it means? 9.What is the Parent process id of a deamon process? 10.How do you get parent process identification number? Question. What is Deep copy and shallow copy? Answer. Deep copy, copy the whole object and make a different object, it means it do not refer to the original object while in case of shallow copy the target object always refer to the original object and changes in target object also make changes in original object. Question. how to Create custom collection? Answer. using System.Collections namespace we can create the our custom collection classes. Question. how to Bind grid with business obj? Answer. 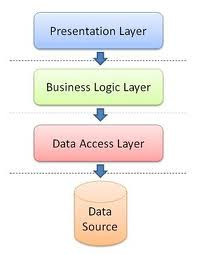 return the dataset or datatable from business object and assign to datasource of grid. Question. What is Singleton and how to implement locking in singleton pattern? Answer. Singleton pattern usage a class which can contain only one object through out the application. Question. What is Typed dataset? Answer. typed dataset is a normal dataset having property to data type check for Colum values and can access the columns by column names. Question. What is Using keyword? 2. handle the idisposable objects inside using block. is the above code is valid? Question. What is difference between lock vs static locks? Answer. static lock is applicable to static methods and variables. Answer. We use this method to not to call the finalize method while disposing the objects. Question. Can we inherit a class from multiple interfaces? Question. suppose two interfaces have same method, so how will you implement these methods in derive class? Question. What collection type you used? Answer. Used of delegate to call a function. Question. any other use of delegate? Question. How will you fill dropdown values using datareader? Question. what is OOPs ? Question. Have you worked on multithreaded application? Question. Describe the multithreaded application ? Answer. Describe a demo multithread application and why using multithreading. Question. Tell me something about yourself? Answer. Give a small introduction about professional background. Question. Tell me about current project and technology used? Answer. As per your current project. Question. Rate your self for .NET, C#, Oracle? Question 1. What technologies you worked for? Question 2. Lets start with C#, What is modularization? Answer. Modularization is dividing functionality into different small modules, so that we can reuse the functionality and make it simple to use. Question 3. Any other use of modularization and Layered application? Answer. We can add layer to keep different group of functionalities different. and changing one layer does not effect others. Question 4. Where does the object and its internal variable int i and string s store, in heap or in stack. Question 5. What is garbage collector? Answer. it used to release the memory. and run in non deterministic manner. Question 6 Can we run Garbage collector manually and its recommended? Answer. Yes we can by gc.collect(), it is not recommended. Question 7. What is overloading and overriding? Answer. overriding is having same method in base and drive class and deciding at runtime which one to call. Question 8. What is difference between the runtime polymorphism and overriding. Question 9. Difference between string builder and string? Answer. string builder is mutable and string immutable. Question 10. can we pass object with ref parameter like fun(ref Obj)? Question 11. what is difference between fun(obj) and fun(ref obj)? Answer. by passing obj we are directly passing object while using ref it passes the address of object. Question 12. if we have two function abc(int a, int b) and abc(int a, int b, int c) in base class and we derive it in drive class and implement it. in drive class it is overloading or overriding? Answer. both overloading and overriding. Question 13. can we have multiple try blocks, can we have multiple catch blocks, can we have multiple finally blocks? Question 14. What is cluster index and noncluster index ? Answer. cluster index is physical sorting on table while non cluster index is logical sorting on table. on what column will you define the index? get the employee list whose salary is greater than the average salary of their division? get the maximum salary if every division? Question 18. What patterns you used in C# code? Question 19. Write a code to implement a singleton pattern? *headRef = NULL; // Again, deref headRef to affect the real head back// in the caller. finding Nth Node in linked list.. Given a binary search tree and a "target" value, search the tree to see if it contains the target. Hey friends, Preparing for interview is our every day Topic but with changing trends in technology we should upgrade our technical skills which are new and important and for fresh graduates to step in to a job learning hot and new technology will push him a step forward , So I did some research on this and found “Android App Development” will be the rite one as we see android app every where every website. So where to learn it ,So I collected some data from various institutes analysed the topics they teach and took some feed back from the students who already got trained ,And found as Android is open source it can be self learnt with good guidance and less cost So found Innobuzz is the best. For all i suggest innobuzz.in is best institute for learning “Android App Development”,They are only one which provide Distance learning with a very good Quality training ,The best part of them I liked is their Training Methodology and Training Features. innobuzz Training Methodology Our Distance Learning Training Module is designed in such a way that reinforces the student to focus on self learning as well. Our Training Module is structured such that students have to take out time to Research over the Tools and Concepts that they have learned in the Demonstration Component of the Distance Learning Program, in order to complete the Assignments. innobuzz Training Features . : Content Featuring Sessions with full Audio, Video and Demonstration. .: This Training Program covers Presentations, Real life Case Studies, Extensive Live Practical Demonstrations. .: At the end of each training session, students will get Assignments for Research to guide them towards a path for Research and Development on each domain. .: The Training Fee includes the cost of the Course ware. Course ware includes the Training DVD Toolkit. This Toolkit will include all the Tools and Scripts which will be required during the Training and in order to finish the assignments which will be given to the students. 1) Ther main goal is on practical knowledge which is best of them,As theory can be learnt from many places. 2) Their approach towards Distance learning is very good as the Kit they provide contains Presentations, Real life Case Studies, Extensive Live Practical Demonstrations, Tools and Scripts all integrated together in a Training Environment which will be very useful for self starter. 3) It has 150 Practicals covered with Live Demonstration. And who so ever is going to join it, do leave a comment here. We would also appreciate if you mention that you read about the institute from the site www.cinterviews.com or www.androidinterviewquestions.info if you join the institute any day. Q4: What are the dialog boxes that are supported in android? Q5: What's the difference between file, class and activity in android? Q6: What is a Sticky Intent? Q7: Why cannot you run standard Java bytecode on Android? Q8: Can you deploy executable JARs on Android? Which packaging is supported by Android? Q9: How will you launch an Activity within you application? Q10: How will you pass data to sub-activities? Q11: Explain about the exceptions of Android? Q12: Explain Structure of Manifest Files. Q13: Describe the Android Application Architecture? Q15: What are cursors & Content Values? Q16: what is the difference between relative layout and absolute layout? How to create my own document type? How to write my own DTD? How to control formatting and appearance? How to use graphics in XML? How to include one XML file in another? What is parsing and how do I do it in XML? What are the special characters in XML? I am trying to understand the XML Spec: why does it have such difficult terminology? How to include a conditional statement in my XML? How to override an XML namespace declaration that uses a prefix? How to override a default XML namespace declaration? How to construct an XML document that is valid and conforms to the XML namespaces recommendation? How to allow the prefixes in my document to be different from the prefixes in my DTD? How to create documents that use XML namespaces? How to use XML namespaces with SAX 1.0 and SAX 2.0? How are universal names represented? Are universal names universally unique? How to configure an XPointer processor? How to implement an application-specific XPointer scheme? What is XLink Markup Design? Tell me about SOAP in XML? What is CSS and its uses? How to center block-elements with CSS1? How to link external style sheet? Is css styles are case sensitive? What are the advantages and disadvantages of the various style methods? What is imported Style Sheet? and How to link? Can css be used other than html documents? How to place text over an image? How to combine multiple style sheets into one? Is html attributes or css properties which one is prefered? How to eliminate the blue border around linked images? Can i attach more declaration to one selector? Write some examples of good and bad coding with reason? How to get rid of the gap under my image? How do I have a non-tiling or non-repeating background image? What are the reasons for external stylesheet not working? How to make my div 100% height? How to center the web page? Why shouldn't I use fixed sized fonts? How do I have links of different colors on the same page? How do I get my footer at the bottom of webpage? Do any WYSIWYG editors support the creation of Style Sheets? What is the difference between 'class' and 'id'? How to place two paragraphs next to each other? How to move the list bullet to the left and right? Why is it my ':hover' declaration for links does not work? How to place multiple blocks next to each other? 1. Write out a list of all your ties to the area. Before the interview, make a list of all the ties you have to the area or state. This list should include times you have visited or lived in the state. It should also include any family or friends that you have in the state. 2. Write out a list of all time you were away from home. Also, make a list of all the times you have been away from home. These can be to any location. Essentially, you are trying to make a record of times where you have been away from home for extended periods of time and were not homesick. a. Examples could include going to a college out of state or going to Europe over the summer. 3. Research the city for more “useful” information. Research the city in which the job will be located. Make a list of the things that appeal to you about the city and how they would be a natural extension of you. a. For example, if you do artwork on the side, talk in the interview about how great it would be to see “such and such” museum. you look forward to joining those groups chapters. c. Also, you can use the uniqueness of the city to your advantage as well. If you have never lived near the beach or the mountains, state how you are looking forward to a change from your own environment. If housing costs are cheaper, state this as well. Essentially, you are trying to show that a moving would be in your best interest. 4. Determine how your marital and family status will be benefit in the move. It is usually a no-no for the interviewer to ask you about these things. However, you can bring them up if you believe they will help your case. For instance, if you are single and have no children, you bring this point up to show that you can make this decision without consulting family. If you do have a family, you can state how your family supports your decision and would love to move there for such and such reasons. 5. Sell your commitment to the position. If this position would be an excellent learning opportunity or is with a very prestigious firm, state you would be more than willing to trade any small degree of homesickness because the benefits significantly outweigh this one minor issue. 6. Create a presentation for this interview question or concern. After you have compiled your research, you want to create a basic presentation that you will use when asked about this issue. By way of your preparation and your answer, you will be able to show you have thought about this issue and will give you a chance to state reasons why this will not be an issue and possibly even a benefit. 7. Take your cues from the interviewer. Try to gauge what specifically they are concerned about in your possible move and tailor your answer to that particular aspect. Often times, you can determine this by seeing how they respond to different parts of your answer to their question or what follow-up questions they ask you. Implementing these steps will not guarantee the interviewer will be satisfied. However, it should go a long way towards planting seeds of thought that relocating will not be a significant issue. Your goal here is really to minimize any lingering doubts. If you are able to do effectively this, you just might be able to beat out a local candidate for the position.